Alaska was the original airline to ditch straws. On May 21, it announced that single-use plastic straws—and “citrus picks”—will be banned from all of its flights and airport lounges starting July 16, as previously reported by Traveler. Starting July in its lounges, American will replace all plastic straws with biodegradable straws, swap plastic drink picks with wooden ones, and start offering eco-friendly flatware. Come November, only wooden drink picks will be offered in flight. Overall, the airline expects to cut down its plastic use by 71,000 pounds a year. On Wednesday, October 24, Delta announced that it will be removing “a variety of single-use plastic items, including stir sticks, wrappers, utensils and straws” from planes and lounges, according to a statement—reducing its plastic waste by an estimated 300,000 pounds a year. Straws and stir sticks will be replaced onboard with alternatives by mid-2019; bamboo for cold drinks, and birch wood for hot drinks. Delta One’s Tumi kits will also no longer be wrapped in plastic. As for the lounges, the bamboo and birch alternatives are already being rolled out, in addition to compostable dishes and cutlery. United’s #SheddTheStraw campaign, launched September 2018, aims to eliminate plastic stirrers and cocktail picks from aircraft by November 2018—bamboo products will be offered as an alternative. The airline is also looking to work with more environmentally friendly brands for onboard catering. The cruise liner intends to eliminate all plastic straws on its ships by the end of this year—guests will be asked to use paper straws instead. In the future, Royal Caribbean will also implement wooden coffee stirrers and drink picks, and look to get rid of plastic bags, cups, and condiment packets at the start of 2019, too, per USA Today. The Norwegian cruise line pledged that by July 2, 2018, it would remove all unnecessary single-use plastic—including straws and cups, coffee lids and plastic bags—from its ships, and replace it with environmentally friendly substitutes. The parent company of Norwegian Cruise Line, Oceania Cruises, and Regent Seven Seas Cruises, said on July 30 that it would stop using “single-use plastic straws across its fleet of 26 ships and two island destinations, Great Stirrup Cay and Harvest Caye,” by August 2018. The company says the move will save 50 million straws a year going forward. Peregrine Adventures has a reputation for being eco-friendly, and bolstered it by banning unnecessary single-use plastics (straws, cups, etc.) on all its exclusive charter adventure cruises. On July 18, the boutique river cruise line pledged to eliminate single-use plastics by 2022. Plastic water bottles and straws have already been removed from all 18 of its ships. On July 20, the forthcoming cruise line confirmed that plastic straws, bottles, shopping bags, food packaging, stirrers, and take-away coffee cups won’t be onboard its ships. Linblad Expeditions-National Geographic—a partnership that offers adventure cruises to six continents—officially became single use plastic-free as of July 25. Plastic bottles, straws, cups, and stirrers have been removed from all 13 of its ships. The Southeast Asian hotel group just announced its plan to eliminate single-use plastics in all six of its Thailand locations by 2020—the first Asian hotel group to make this pledge. Akaryn also opened its first single-use plastic free hotel, the akyra TAS Sukhumvit Bangkok, this past June, substituting plastic toothbrushes and combs with ones made from cornstarch, and using biodegradable garbage bags in guest rooms. Back in May, the hotel chain announced that it’ll be removing plastic straws from all 650 of their hotels by the end of this year (eliminating 35 million straws annually). The hotel chain also has an overall goal of cutting their environmental impact in half by 2030. Four Seasons announced in April that it would eliminate plastic straws from all 110 of their hotels by the end of 2018. Taj Hotels, in addition to Vivanta, Gateway, and Ginger Hotels (all owned by Indian Hotels Company Limited), is actively working to eliminate single plastic use—their outpost on the Havelock Islands, Taj Andamans, is a already a “zero single-use plastic hotel,” according to a press release. 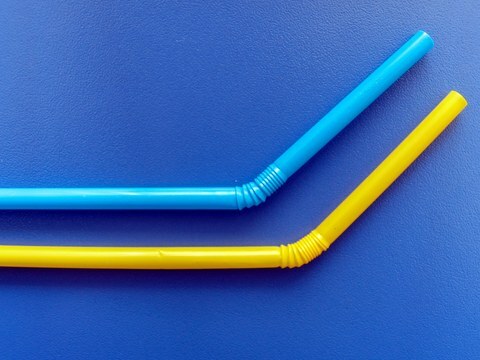 AccorHotels said in May that they would be banning plastic straws in all of their 125 UK locations, effective June 1, which has also expanded to their 83 North America and Central locations this month. Scott Gingerich, senior vice president of Kimpton restaurants and bars, told Mic that they’re in the process of replacing single-use plastic straws with compostable and metal ones. SIXTY Hotels, which has locations in New York, Los Angeles, and Miami, also told Mic they’re currently eliminating plastic straws from all their hotels. The brand has been bottling its own water on-site for the past 15 years to reduce plastic water bottle production, and has also initiated a plastic straw ban at Six Senses Zighy Bay, according to a June press release. The brands announced in a December 2017 press release that starting January 1, 2018, they would be eliminating plastic straws from all hotels and resorts in Asia. They also have locations in the Middle East, Africa, Europe, Oceania, and South America. The hotel chain, which has locations including London, Dublin, and Washington, D.C., confirmed they are working to eliminate plastic straws on Facebook this past May. Back in February, Marriott International pledged to remove plastic straws from 60 of its U.K. hotels, with biodegradable or paper replacements available upon request. In mid-July, they expanded that promise: All 6,500 Marriott hotels and resorts worldwide, along with corporate HQ, will be straw-free by July 2019. Plastic drink stirrers will also be removed—in total, the company expects to eliminate 1 billion plastic straws and 0.25 billion plastic stirrers per year. The company will also replace mini plastic shampoo bottles with wall-mounted dispensers in 1,500 of its North American hotels, per the press release, eliminating more than 35 million plastic toiletry bottles a year. The modifications will be completed by the end of 2018. The Marriott-owned brand, which has 11 locations (including London, Abu Dhabi, and Barcelona), plans to remove all single-use plastics from their hotels in 2019. Hyatt announced mid-July that they plan on phasing out plastic straws and drink picks at all of their locations (there are more than 700), and will only offer them upon request starting September 1, as previously reported by Traveler. “Eliminating plastic straws and drink picks builds on the environmental sustainability programs we have in place and further drives our global efforts to reduce environmental impact,” said Hyatt’s senior vice president of global operations, Frank Lavey, in a statement. The hotel brand has committed to ban single-use plastics in all of their locations—across Europe, Africa, the Caribbean, and South America—by the end of 2018. Plastic straws, utensils, cups, and q-tips will be among the banned items. The hotel company, which currently has locations in Asia, North America, Africa, and the Middle East, pledged back in April of this year to remove all single-use plastics from their hotels and resorts by April 2019. Hotel Xcaret, which opened this past December on Mexico’s Riviera Maya, offers guests biodegradable straws made from avocado pits instead of plastic (yes, really). The hotel take sustainability pretty seriously—all organic waste is composted on-site, and contribute a portion of hotel profit to animal welfare and endangered species conservation programs. Effective August 28, AMResorts, which has 55 locations across the Caribbean, Mexico, and Central America, will no longer provide plastic straws with drinks. Instead, biodegradable options will be available. The NYC-based hotel chain, which currently has two locations in Manhattan (SoHo and NoMad), and a third opening in Midtown next year, is already plastic-straw free. By 2019, the company aims to completely eliminate single-use plastics. The Boston-based company, which focuses on small group adventure travel, doesn’t offer plastic straws on any of its ships, and its onboard toiletries are in reusable containers. On July 26, G Adventures also announced that they will give travelers a free stainless steel water bottle on Galapagos trips (both land and sea-based) starting on January 1, 2019. This is in preparation for the Galapagos Islands’ own ban on non-reusable water bottles, which goes into effect February 26, 2019. On July 26, the Walt Disney Company sent out a press release saying that all Disney locations around the world will be single use plastic-free by mid-2019. An estimated 175 million plastic straws and 13 million plastic stirrers will be eliminated each year with this decision. But that’s not all—Disney-owned hotels and cruise ships will also start using “refillable in-room amenities,” and plastic bags will be removed from parks and ships, with reusable bags available for purchase. HMSHost, a restaurant company with footholds in multiple airports across the U.S. (including Wicker Park Seafood & Sushi at Chicago O’Hare and Barcüterie in Houston’s George Bush Intercontinental Airport), said in a press release in July that they plan to eliminate all plastic straw use by 2020. Around 100 million straws were used at their North American locations last year, per the release. Your favorite airport caffeine fix is about to go straw-free. In July, the coffee company revealed its goal to eliminate all plastic straws in stores by 2020, which could potentially eliminate one billion straws a year. The replacement? A sippy-cup lid (with compostable plastic or paper straw available upon request). This decision piggybacks its existing policy to take ten cents off your purchase if you place your order with a reusable cup. All Intelligentsia stores will stop providing plastic straws on July 15, 2018. Going forward, customers have the option to ask for a compostable straw or buy a reusable metal straw in-store. Like Starbucks, there are bonus points if you bring your own cup. The NYC and Philadelphia-based chain will replace all single-use plastic straws with compostable straws made from cornstarch in July 2018, effective in all 19 locations.